Welcome to the Iwappara Tourist site. 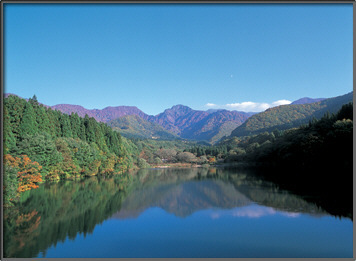 Iwappara is a popular area of Yuzawa Town - just two hours to the north of Tokyo in Niigata Prefecture. The natural beauty of the region makes it a popular resort area throughout the year. Temperatures are now dropping as winter approaches - the first snow of the season was even spotted on some mountain peaks a few weeks ago! More info on outdoor activities in Iwappara. There is a wide choice of places to stay in Iwappara - check the Accommodation page for more details and contact information. Iwappara is located in the southern part of Niigata Prefecture, just to the north of Gunma. It's just a 2 hour journey from Tokyo by car, and even less by the Shinkansen bullet train which can take you from Tokyo Station to the main Echigo Yuzawa Station in as little as 67 minutes. From the station, Iwappara is less than a 10 minute journey away. Kanetsu Expressway Iwappara is just a few km from Yuzawa I.C.